18k with what I believe is a platinum top. 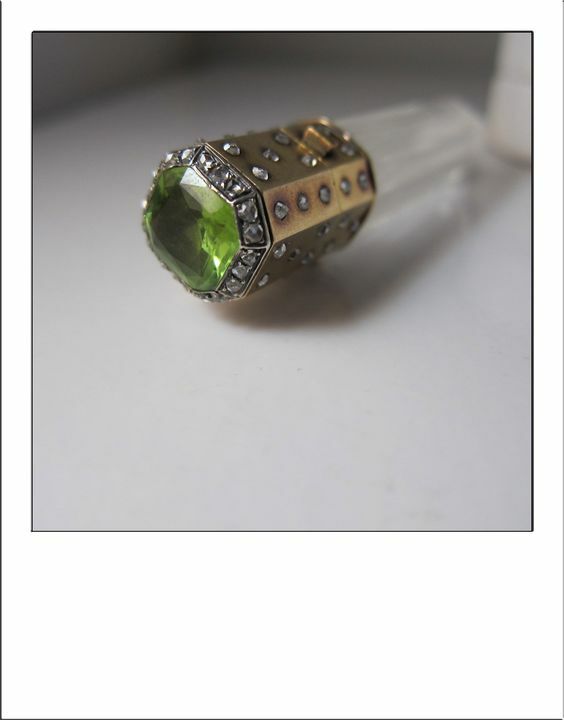 It has a peridot on top with rose cut diamonds framing it. It also has more diamonds on the outside of the bottle. There are two eagles heads on one side. 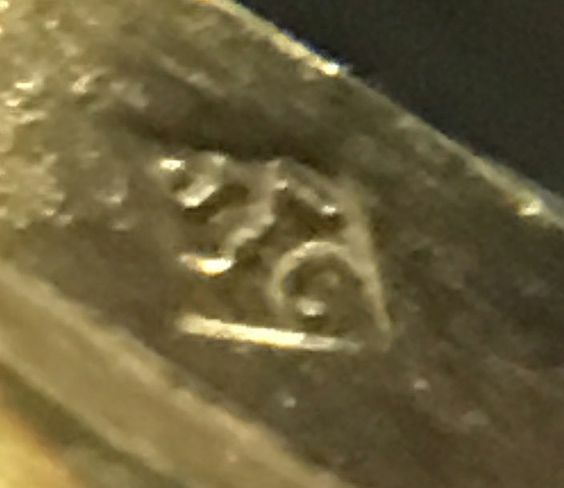 There is a makers mark but I cannot find the maker. 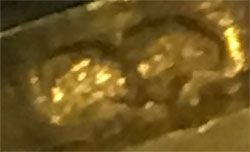 It is J C with a symbol in between, possibly a goblet. It is 2 10/16th inches long and approx. 13.7mm in diameter. I believe it is rock crystal. I know Jacque Cartier use J C but I don't know about the symbol in between. Any help would be so appreciated!